Market Masters: Stop Trading! – What’s Your Edge? The Lake Wobegon effect is the natural human tendency to overestimate one’s capabilities. The most popular real world example is that almost everyone believes they are an above average driver. A similar level of overconfidence can be seen in the investing world where the vast majority of fund managers and individual investors believe they are above-average performers. This is of course impossible (everyone can’t be above average) and studies have shown that such overconfidence is actually one of the primary factors leading to underperformance. Why is overconfidence a problem? Isn’t confidence a good thing, and the more you have, the better? Well, not necessarily when it comes to markets. Overconfidence tends to lead to overtrading and an increase in risk-seeking behavior. If you lack a disciplined strategy with an edge, this can be a destructive combination. Unfortunately, few investors ever take the time to stop and think about the concept of an edge. For the casual investor, this may be because they lack the time, expertise, or inclination. For the professional investor, even if they have an edge, executing on it would necessitate deviating from their benchmark, which in turn introduces the undesirable career risk. Whatever the reason may be, the most likely outcome from overtrading without an edge is decidedly negative. What is an investor without an edge to do? In a word: nothing. Sit on your hands and become an asset allocator instead of an active trader. Your edge as an asset allocator is simply having the patience to stick with a diversified portfolio long enough to take advantage of rising markets and compounding of interest and dividends over time. Not as exciting as picking stocks on a whim or on a recommendation from a guru? I agree, but successful investing is not supposed to be exciting or entertaining. What do we believe our edge to be at Pension Partners, where we manage mutual funds and separate accounts? Having a willingness and ability to deviate significantly from established benchmarks. All of these factors are important but I cannot emphasize enough how important the second factor is. You can have the best strategy in the world but if you don’t have the patience and ability to stick with it through trying times, what good is it? We derive such patience through our award-winning research that challenges the efficient market hypothesis. This research has uncovered market anomalies in the utilities sector and Treasury market that have persisted through multiple market and economic cycles. 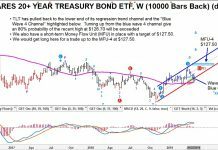 Specifically, we have found that when Utilities are leading the broad market and long duration Treasury bonds are leading intermediate term bonds, higher volatility tends to follow. We utilize these signals (and others) to determine whether to take an aggressive or defensive stance in our strategies. To illustrate one example of this phenomenon let’s go back to the last major correction in the S&P 500 which began in the Summer of 2011. 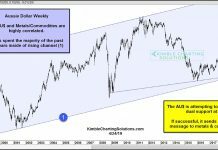 In advance of this period of market stress, while the broad market was still holding up well, intermarket behavior was changing. 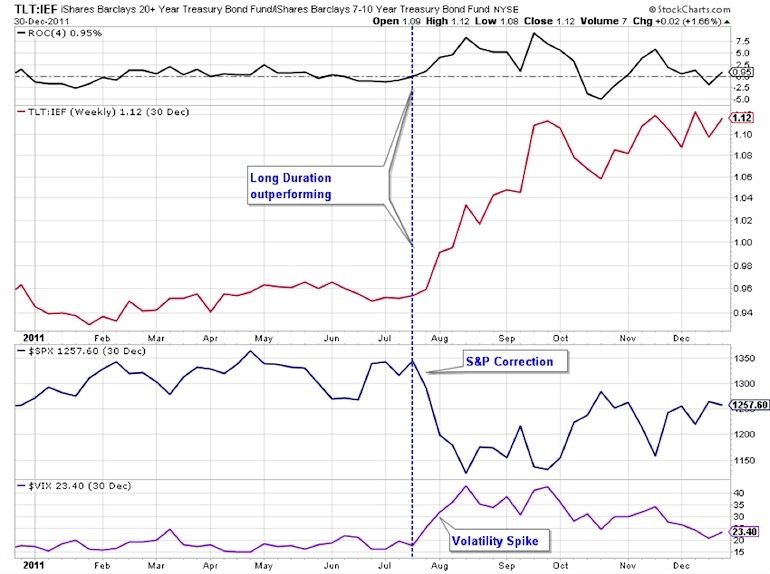 Investors were repositioning out of risk and into more defensive areas. 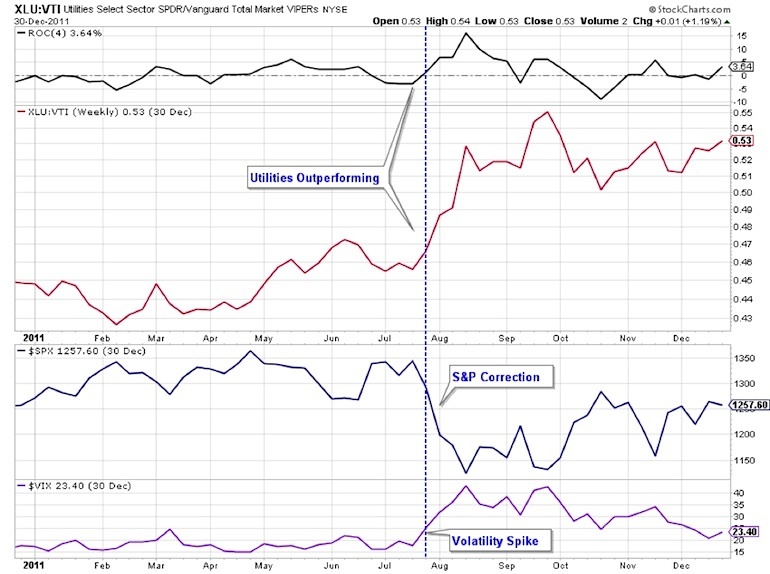 Collectively, this defensive behavior was a warning sign of an increased risk of higher volatility to come. Not a certainty that we would see higher volatility for there are no certainties in markets; just a heightened probability. That is the best you can do in markets, play the odds over time once you have established an edge. Our systematic process used these signals back in 2011 to rotate into defensive areas ahead of the period of market stress that was to come. When I refer to ex-ante risk management, this is what I am describing: recognizing when the odds of a market correction have increased and seeking to protect capital in advance. 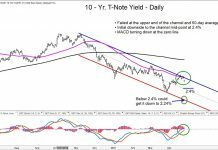 Overall, I hope you come away from this article with an increased awareness of the importance of Utilities and Treasuries as leading indicators of market volatility. But I also implore you to ask yourself the following question: what is my edge? Write it down on paper right now. If you cannot do so and commit to sticking with a strategy that exploits that edge, I would encourage you to stop trading and figure out an asset allocation plan that fits your risk tolerance, personality and time frame. While not particularly exciting, this is probably the single best piece of guidance I can offer. Thanks for reading. About Charlie Bilello: Charlie is the Director of Research at Pension Partners, managing mutual funds & separate accounts. He was the 2014 Dow Award Winner for research, also receiving 3rd Place for the Wagner Award.